Title continues in New Princess and Girl (Hulton, 1964 series) #10 October 1964. Publication Dates: 14 February 1981 – 1990 ? Girl and Dreamer around 1982 to 1983 (issues 89 to 110 at least). Dreamer (IPC, 1981 series) as of 1982. 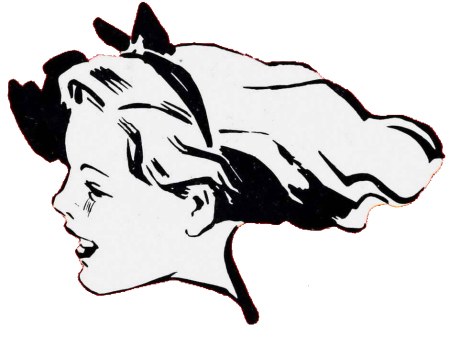 Girl was a weekly comic magazine for girls published from 1951 to 1964. It was launched by Hulton Press on 2 November 1951 as a sister paper to the Eagle, and lasted through Hultons’ acquisition by Odhams Press in 1959 and Odhams’ merger into IPC in 1963. Its final issue was dated 3 October 1964, after which it was merged into Princess. Another comic of the same name was published by IPC from 1981 to 1990, during which time Dreamer and Tammy were merged into it. 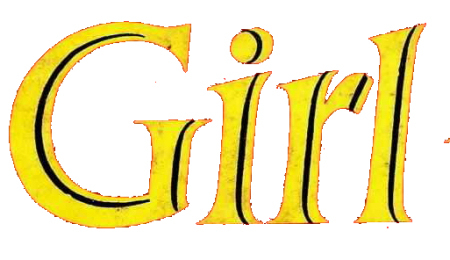 Girl was very much an “educational” magazine whose heroines, including those who got into scrapes, became involved in tales which had a moral substance. A considerable number of pages were also dedicated to real life tales of heroic women in various fields. Like the Eagle, Girl was founded by the Rev. Marcus Morris. The lead strip was originally “Kitty Hawke and her All-Girl Air Crew”, drawn in full colour by Ray Bailey, about a group of women running a charter airline. The strip was not very popular – it was apparently felt to be too masculine – and it was moved to the black and white interior pages, replaced on the cover by the schoolgirl strip “Wendy and Jinx”, written by Michael and Valerie Hastings and drawn by Bailey. Hi, Boutie. Sad to say, but it’s impossible download from this page. Thanks for letting me know. I have an internal server error also. I hope it’s not a long term error. I will look at it again tomorrow, if it’s still impossible to download i will upload the files to another server. I will let you know in a comment when the files are ready for download again. I changed the links, they are now on Google drive. I don’t know what happened with the other links, the files are still on Adrive in my account. It seems that all is well now, thanks. You are welcome, nice to know it’s working well now. Hi, I have tried to download ‘Girl’ download sections. That sometimes happens, you can just ignore that message en just press the blue downloadbutton, the download wil start anyway. It happens often when the download is to large for that site to scan. Many thanks, followed the blue buttons (yellow brick road) and found (Dorothy) and downloaded all the ‘Girl’ comics plus annuals ok. Many thanks, again what a “BRILLIANT” site!!!!! Still finding many gems from my youth in the 50’s and 60’s. Making this young Pensioner Very, Very Happy!!!!! will come out of comma. We all Pray that he will. Annuals 1-7 are 1953-1959, and since you also have 1962, it means your missing 1960, 1961, 1963-1965 and 1982-1988.